Cynthia “Cindy” Lou (Jones) Long, was born on June 19, 1947, in Saginaw, Michigan, to William Louis and Margaret Elizabeth (Davis) Robinson. She passed away in Branson, Missouri, on Friday, November 2, at the age of 71. Family visitation is scheduled for Tuesday, November 6, 5:30-7:30 P.M. at Whitt Funeral Home. Funeral services are scheduled for Wednesday, November 7, at 2:00 P.M. at the First Baptist Church with Rev. Randy Southerland officiating. Interment will follow at the Duncan Cemetery. Arrangements have been entrusted to Whitt Funeral Home. Cindy attended Arthur Hill High School in Saginaw. She was employed as a waitress at Wright’s for 19 years. She married Hoyt David Long on August 25, 1984, in Duncan. He preceded her in death on May 1, 2000. She loved to quilt and made quilts for the Duncan Police Department to provide to children with whom they came in contact. She also made pillowcases for the children’s shelter and baby blankets for Charis Pregnancy Center. She enjoyed working at the Stephens County Free Fair taking entries. Traveling was another favorite pastime. 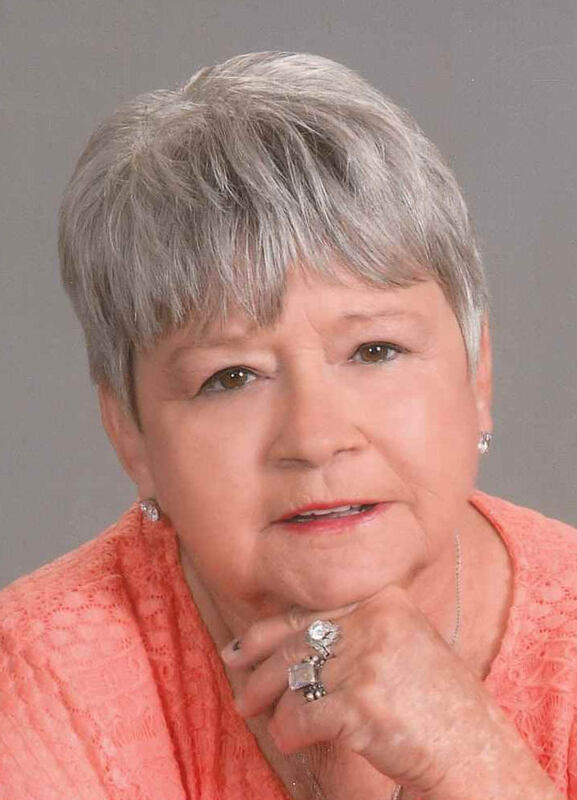 She was a member of the Quilt Guild, Red Hat Society, Kindred Community, and the Bunco group at Western Heights Baptist Church, where she taught Bible School. She loved cooking for and visiting with her family and friends. She also loved her cat, Larry, and her dog, Precious. Cindy is survived by her children, Laura Lee and husband Mike Cooper of Yukon, Rona Lynn and husband Danny Briscoe of Countyline, and Kenny Ray Jones of Duncan; 6 grandchildren, Dena Rene Biffle, Dewey Keith Briscoe, Candice Nicole Bowen, Cammie Lynn O’Neal, Courtney Michelle Jones, and Katlyn Nicole Jones; 5 great grandchildren, Indie Anna Bowen, Bentley Jade Craft, Tegan Hope Bowen, Jaelyn Grace O’Neal, and Landon Keith O’Neal; brother, Byron and wife Shelly Robinson of Saginaw; and sister Pamella and husband James Loos, of Saginaw. She was preceded in death by her husband, Hoyt Long; parents, William and Margaret Robinson; and brother, William Louis Robinson, Jr. Serving as pallbearers will be Al Deavers, Bryan Walker, Keith Hare, Jacob McCauley, Lester Crampton, and Jimmie Castor. Honorary pallbearers will be Cameron Green, Travis Green, Shane Swift, Marvin Herring, and Dale Anderson. Memorial contributions in Cindy’s name can be made to Kindred Community (Beautiful Day Foundation), Charis Pregnancy Center, or Christians Concerned.